SINGAPORE - Motorcycle owners, especially collectors, are fuming over a new rule that will ban some old and more pollutive motorcycles from 2028. Under the new rule, announced by the National Environment Agency (NEA) last Friday (April 6), motorcycles registered before July 1, 2003 will no longer be allowed on roads from July 1, 2028, and must be exported or scrapped. The move aims to improve air quality in Singapore as these older bikes produce more air pollutants, said NEA. Motorcyclists affected by the new rule questioned the reliability of the data used to calculate the emissions of affected bikes. Facebook groups such as the Singapore Classic Motorcycle Group are, for instance, querying the need to scrap old motorcycles that are only being ridden occasionally, and not used as a regular mode of transport. Owners said they rode their bikes mainly on weekends or a few times a week, not nearly as much to be emitting the same amounts of harmful gases as commercial vehicles. Only motorcycles under the Classic Vehicle, Vintage (Restricted) Vehicle and Revised Vintage Vehicle schemes are exempted from the new rule. Essentially, this means bikes will have to be at least 35 years old from its original registration date to avoid being exported or scrapped. Mr Marco Xu, 35, a software engineer and one of the administrators of the Singapore Classic Motorcycle Group, said that almost 1,000 motorcycles from the group's members will be affected. Rare bikes like the Ducati MH900e, which cost between $45,000 and $60,000, will also have to be scrapped under the new rule, Mr Xu noted. "The data given by NEA needs to be in greater detail," said Mr Xu, who said owners were baffled by how they could be responsible for such a large percentage of emissions. To incentivise owners to part with their bikes, NEA is offering up to $3,500 for eligible machines that are deregistered over the next five years. Mr Rex Tan, director of Ban Hock Hin, a motorcycle specialist company, added that while the incentives provide a good option for owners who wish to switch to newer and cleaner motorcycles, they leave collectors of older bikes that are not old enough to be exempted with no option but to scrap them. "Many of these motorcyclists have invested heavily into these machines, which are almost a part of the heritage within the motorcycling industry," he said. "But the new rule is erasing all this history and culture." NEA said its studies have shown that motorcycles make up just 15 per cent of vehicles in Singapore, but contribute to more than 53 per cent of carbon monoxide emissions from vehicles. Asked how these emissions were calculated, NEA said it considered the population of motorcycles, their respective emission standards, mileage travelled and other factors affecting their emissions such as engine size. NEA also said motorcycles registered before July 1, 2003, which will be at least 15 years old by this year, are more pollutive than newer models, emitting up to about 10 times more carbon monoxide and 30 times more hydrocarbons than motorcycles compliant with the Euro IV standard. 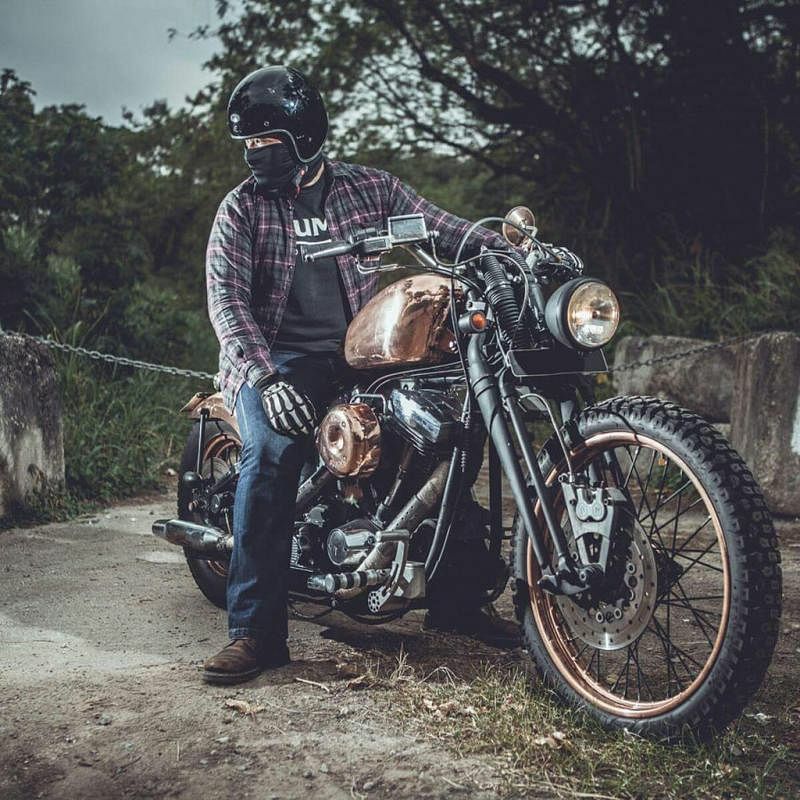 Project manager Erwin Shazreen, a 28-year-old who owns a rare 1994 registered Harley Davidson Softail Springer, voiced his unhappiness about the 2028 rule and its implications for his motorcycle. "Since I was a kid, I had always dreamt of owning a Harley Davidson, just like my dad," he said. "When I turned 23, I gifted myself one as a birthday present. With the new rules, I don't even have the chance to convert it under the classic scheme, as it will be shy of just one year to be registered as a classic bike in 2028." Mr Shazreen hopes to continue using the bike and renew its certificate of entitlement (COE) till 2028. He paid almost $14,000 for it. "I love this bike dearly, but it is sad knowing that its days are numbered." Despite the buzz that has been generated by the announcement, not many owners have come forward yet to scrap their bikes and claim the incentive, according to motorcycle companies Speedway Motor and Soon Hin Motors. The companies said while they had received queries from a few customers about the eligibility of their bikes, many are waiting for the official letter from NEA before they make their decisions.